Ringed with rows of nails and copper spikes, the frame is locked into place. 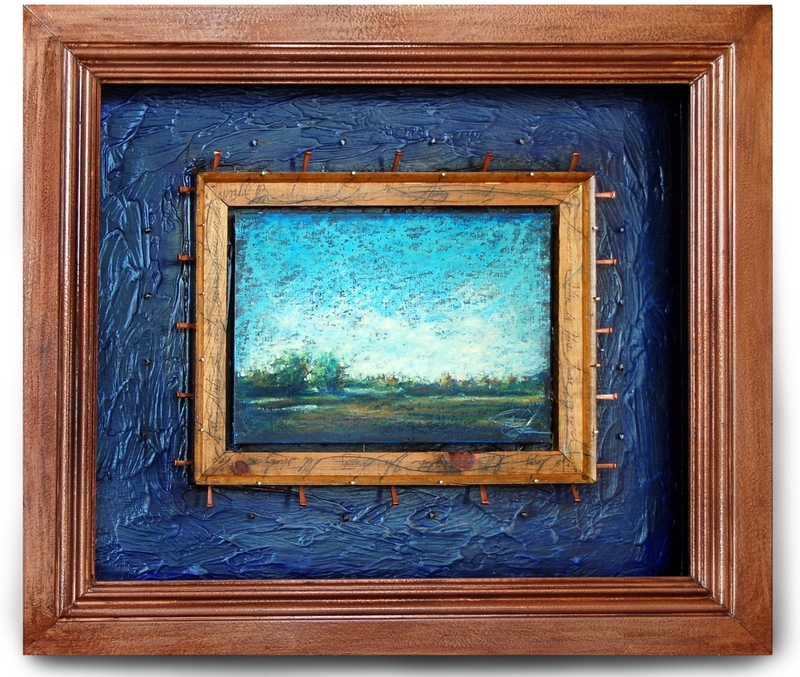 The frame becomes more than a holder for the impression of nature centered in this piece. Written around the frame are the words from David in Psalm 22, it is a cry for piece through unending hope. This work strives to show the complexity and intimacy of true prayer, echoing from someplace locked away in our hearts.